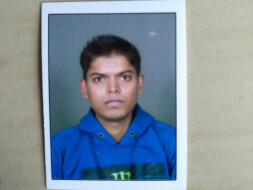 Raju Savi, From Kalakhamb, Belgaum, Karnataka. 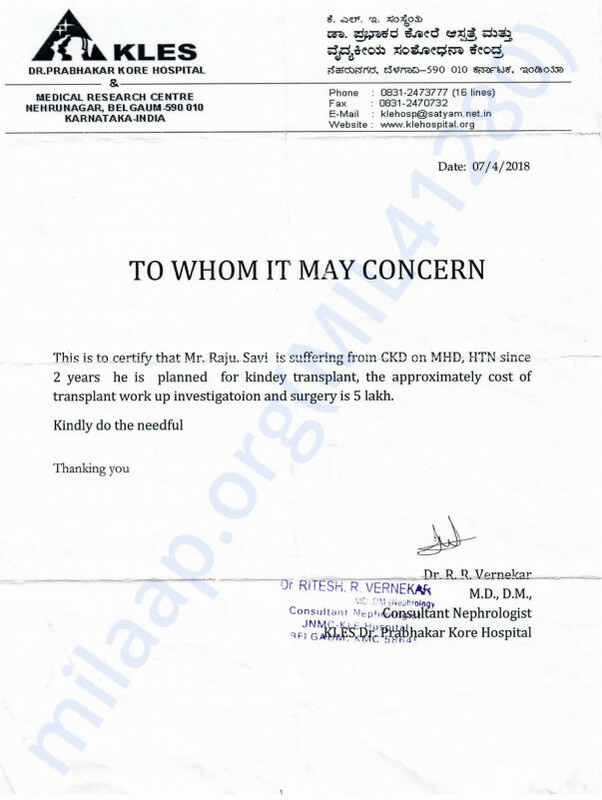 who has been suffering from kidney disorders for two years and is being treated at KLE Hospital in Belgaum, according to the doctor, both of the kidney are failed and urgently need to have a kidney transplant, But the cost of surgery and further treatment is 6 to 7 lakh, because of the economic condition of the family it is not possible for them. 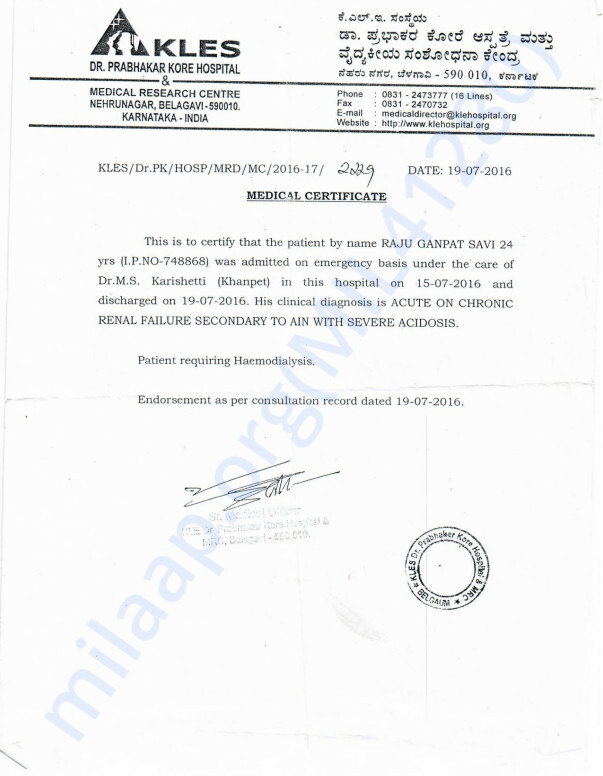 His mother is ready to give a kidney, now the only need is of financial help. Raju will only survive with a kidney transplant. Time is running out for this 27 -year-old and all he can do is painfully watch his family struggle to save his life. Immediate support will save Raju’s life. We all the friends are trying to raise the fund locally as much as possible but it is getting difficult to raise the huge amount , so request you all to please contribute for this medical cause and save one’s life.